In today’s episode, we help Wally grow his life and business strategy podcast. Jocelyn Sams: Hey y’all. On today’s podcast, we help Wally grow his life and business strategy podcast. Shane Sams: We’re a real family that figured out how to make our entire living online, and now we help other families do the same. Are you ready to flip your life? All right, let’s get started. Shane Sams: What’s going on everybody? Welcome back to the Flipped Lifestyle Podcast. It is great to be back with you again. Today, super excited to talk to another member of the Flip Your Life community and help them take their life and business to the next level. I’m really excited about today’s guest because I was once featured on his podcast. It is the host of the Men of Abundance Podcast, Wally Carmichael. Wally, what is going on, my friend? Wally C.: Man, just living a beautiful life, living my best life, brother. So excited to be talking with you. Shane Sams: You are the most positive person in my Facebook newsfeed. I just wanted to tell you that. You make me happy, man. You’re like a ray of sunshine beaming into my social media account every morning. Wally C.: I greatly appreciate that. That’s the intent. Shane Sams: But you do make me jealous, though, because you refuse to live anywhere but a place with a beach, and you’re just always showing those beach pictures. So I’m a little jealous sometimes. I’m jealous, but you know, we need a little envy to drive us forward sometimes. Jocelyn Sams: Hey, I’m looking out at a beautiful bluebird right now, so. Shane Sams: What’d you say, Jocelyn? Jocelyn Sams: I’m looking out at a beautiful bluebird right now, so it’s not so bad. Shane Sams: Yeah, there’s a bluebird flying around in January, so we’re doing good up here in Kentucky too. Wally C.: Wonderful. Yeah, you guys got that beautiful lake up there too. That’s just cool. Jocelyn Sams: Well, it’s great to have you here today. We’re really excited to talk with you. Let’s give the audience a little bit of background information. Tell us a little bit about you and what you’ve been doing for, well, your life, and what you’re doing online. Wally C.: I had no desire to do that. Well, after working two full-time jobs and realized it ain’t working. It’s just time to do, so I walked into the recruiter’s office, signed up as a combat medic, and traveled the world. Did 25 years, retired about, goodness, time is passing so fast. About four years ago now, maybe, and retired in Hawaii. We had been there about ten years, and my entire life, even as a young man, I’ve always been entrepreneurial. I’ve always wanted, just like everybody else, I’ve been that man. I say I’ve been ungratefully chasing a six and seven figure income for the wrong reason. Wally C.: One day, I’m sitting on the gazebo right there from where you and I were texting that one point Shane. It’s Saturday morning. My son’s playing in the water, and he said, “Dad, dad, come and play.” But I’m sitting there listening to another podcast to learn how to make more money and live this best life that I dream of, and when his face changed from excitement to disappointment, it just hit me like a brick. My wife’s voice always telling me, “Wally, what the hell are you chasing?” It was just loud and clear like she was standing right there, but she was still back in the house asleep. Wally C.: I took the headphones off, I set them down, and from that point on, I just decided. Here I was, sitting on the beach in Hawaii in front of my house. Had a six figure income, not a huge six figure income, but living pretty darn comfortable, and I’m wanting more. I was just so ungrateful for what I already had, so I started this whole journey of, so much more. I just decided I’m living a life of abundance. I don’t know that I said those words specifically, but it just hit me, and as soon as I started being more grateful for what I had and it was a process, so much more started coming into my life. So then I just had an idea to write a book, Living Your Life of Abundance, but I didn’t want it to be about my life. I wanted to do other people’s lives in there as well. 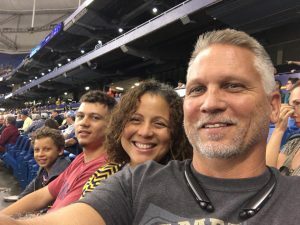 Wally C.: So I started the Men of Abundance podcast, and then I started getting introduced to people like you who are just living an amazing life and somehow paying it forward to the community. They all got kick in the gut moments, and that’s what I’m seeing that you talk about on the show, but in a nutshell, almost 50 years worth. There you have it. That’s basically where we’re at, kind of where we’re at today. Shane Sams: Being in the entrepreneurial world, we’re surrounded by a lot of really successful people and there’s a lot of people that are trying to do really cool, great things. I don’t ever want to discount what anyone else is doing, but you can get lost in that ego-driven shuffle of, “Am I important enough? Am I reaching seven figures, eight figures, whatever,” right? Then you don’t realize, oh my gosh, but then I haven’t seen my kids and I missed that recital and I didn’t go to that ballgame. What am I doing? I didn’t go jump in the water with my kid when he wanted to swim with me because I was too busy trying to make the next dollar. Shane Sams: That’s really what we talk about when we say Flipped Lifestyle. Even in entrepreneurship, you gotta be careful not to fall into the world standards of what’s successful. You gotta go build your own success, and you gotta build a life that makes your kids and your spouse and your family happy, and you got that balance where you’re not trading one rat race for another. Shane Sams: It can all, because you can lose it quickly, you know what I mean? You can just lose that gratefulness and that thankful, like being in the military. You’ve seen all these places. You remind me of Jocelyn’s dad a little bit. He was in the military and he’s been to all these countries, and you and him are probably the two people I know that have been to the most places, maybe. You know what I mean? And it’s like, but you can lose sight of that, and it almost, when your life becomes routine even when you’ve got some success, you can become unhappy in the middle of all your success if you’re not careful. Wally C.: Yeah, absolutely. Yeah, I have conversations with guys all the time that are in that very situation, and we’ll get into the whole business side of it, but that’s how I started the business side of it. A couple of guys about eight months into my podcast started asking me, “Do you coach people in living a life of abundance?” And I was like, “No, that’s not even where I planned on this going.” But then a spouse contacted me and she’s like, “Look, I’ve been listening to your show. I love the conversations you have. I love your lifestyle. I love your mindset. My husband, we make plenty of money. He makes plenty of money. He’s just not here. He comes home every night, but he’s just not here. He’s disengaged. Will you coach him?” I’m like, oh man. He’s gotta want that first, but that really got the ball rolling and my mind kind of spinning. Shane Sams: Well, let me back up for a second then. So you’re entrepreneurial, but you had this career in the military. You retired, and you basically just started this podcast to have these conversations with people, and it sounds like the kind of, after you had that little catalyst moment where you saw your son’s face get disappointed, it was almost more just to explore this in your own life, it sounds life. Shane Sams: You started the podcast, you started talking to people, reaching out to people, and you’ve kind of fallen into this entrepreneurial stuff of wait a minute, this could be my second career. This could be my second income. My content has kind of moved me toward maybe having an accidental business on my hands. Wally C.: That’s exactly what happened. I originally started the podcast to gather more stories for the book that I still haven’t written, although I’ve written a book since then, but I haven’t written that book. Now, as it stands at the time of this conversation, I’m 100% working from home, and I have been for a while. I’ve been teleworking, but now that’s a done deal. So I’m focusing on that. Shane Sams: What’s interesting is we were talking the other day on Facebook, because after, we’ve kind of developed a little online friendship since I talked on your podcast. I noticed that you have had some struggles with even turning this into a business, like charging people and is it good? Is it bad? I’ve seen you post some very interesting poll questions like that too, and I know that a lot of people kind of struggle with that, right? Because sometimes, you have a mission in life, and you’re like, but do I charge people for my mission? Is that just going back to those old ways? What do you think about that in your journey right now? Wally C.: Yeah, that’s exactly one of my biggest struggles is just that, and it’s kind of evolved a little bit because of one of the coaches that I hired, quite frankly. He kind of made some sense in the whole process of, “What are you gonna charge for and should you charge?” I made the decision that quite frankly, I have to charge for much of it, but I still struggle with it. Shane Sams: Yeah, and one thing that we got over that originally was you almost owe it to people to charge people, because if they don’t invest in themselves, they will not do things, right? Think about everything you get in life for free. You get a free sample or you get a little toy trinket from an arcade game or that your kids get and they throw it away in five seconds. You get the Happy Meal toy and it’s lost in a week. Think about how kids interact with free things, right? Shane Sams: Almost everything like that goes away because there’s no investment. People have no reminder. They have no ouch that says, man, I’ve got to take advantage of this so that I can do something with all this coaching or information or whatever I’m learning. I had a buddy, or Jocelyn had a friend the other day that was selling a course. What was that course about, Jocelyn? Was it about clothes or something? Jocelyn Sams: Yeah, so I bought a course from Kelly Snyder. She’s actually a friend of mine, and she does a course that is called Adore Your Wardrobe. It is all about finding the type of clothing that looks the best on your body type. So I actually purchased this and it just started today, so I’m really excited about that. But yeah, I just bought that. Shane Sams: Kelly sent her a message though right after she bought it, and it was like, “Oh, I would’ve given that to you. Blah blah blah. You’re my friend.” But it’s kind of like no, if she didn’t pay for it, she’s not gonna use the course, right? It would just be like, oh, someone gave me something for free. I’ll check it out later. Jocelyn Sams: You just don’t feel the urgency to actually do it. If she were to give it to me, then I’d be like, oh, well. I’ll just put it off and do it later, but because I’ve made the investment, I’m like, okay. I need to get this done. I invested in this and I need to do the coursework. It’s the same thing with us. Any time that we’ve ever given anyone our courses or our community, I don’t know of anyone that’s actually doing anything with it and actually made it work. Shane Sams: Yeah, it’s never been good when we’ve given stuff away. It wasn’t good for them, because they just didn’t do it. Your story is really interesting, but I think there’s something deeper underneath even that struggle, with that kind of fear. You started creating content, which is the first thing we almost tell everybody to do. Hey, look, we’re gonna figure out your idea. We’re gonna figure out your avatar. We’re gonna figure out your product. We’re gonna do those things, but why not just turn the YouTube camera on? Why not just turn the Facebook Live on? Why not start a Facebook page or a blog or something, just start throwing things out there, right? Shane Sams: You did that. You just like, ah, I’m gonna start a podcast. I’m gonna write a book. I don’t know what it’s gonna end up, and then these opportunities started showing up because you took action and you created things, right? Sometimes, it just takes that doing of the thing to kind of open doors for later to have a business, to have influence, to have impact on the world. Wally C.: Yeah, yeah, absolutely. Once I started doing that, initially because I was gonna have guests on, it was like maybe the first month or two was a little bit of a struggle getting guests and contacting people, then after that, I turn people away. I’m literally booked out into April, almost May. Shane Sams: Isn’t that funny how that works out? Shane Sams: So that was my first guest, right? Well, literally within eight weeks, I had talked, my guests went from the seventh grade middle school coach, right? To Hal Mumme, who is one of the legends of college football, one of the greatest offensive coordinators of all time. Then I talked to this guy down in Louisiana who had just went viral because his team never punted. He had just been featured on ESPN, right? I sent him a message and he talked to me on my podcast. Then I talked to this other guy who had been an NFL veteran for 12 years, and he was a weightlifting guy, Crossfit guy. Really famous Crossfit guy. Shane Sams: So within eight weeks, I went from the middle school coach to three really, really super high profile guests that I had no business talking to, but it was just because I took action. It was because I created something, and I kept creating something, and it’s just unbelievable, the doors that open when you do the thing, not when you dream the thing, right? Shane Sams: And I love watching your journey. I kind of feel like I’ve seen your journey from the beginning, because we kind of crossed paths early when you started doing this, and I said to Jocelyn just the other day, but I think before you’d even scheduled this. “Man, Wally’s starting to evolve. Look at this. Look what he’s doing. Look at his podcast. Look what’s happening here.” Right? Like we could see that happening, then when you came into the community and we started talking, I was really excited to do this podcast. Shane Sams: So let’s talk a little bit more about the business aspect. So what is Men of Abundance evolving into? So you’ve had these people wanting you to coach, but that’s a real, broad, general term, right? You don’t just coach everything. You coach something, right? So where do you see this evolving into a business, like into a coaching business? What exactly are you gonna talk to these men about? And you are gonna, it’s men, right? That you’re really focused on. Wally C.: Correct, yeah. That’s right, yeah. I’m primarily focused on men, and I could niche down even more on specifically veterans because I’m big in the veteran community, of course. I’m part of a couple different organizations involving veterans, but the way it evolved is as I started the process and talking with the other coaches and figuring out how to coach living a life of abundance. As I started getting into it, I was realizing that yeah, a lot of guys want more in their life in family, faith, finances, and fitness, but they don’t, one, most of them aren’t willing to pay for it because they don’t want it that much. They’re not willing to put in any real work towards it. Shane Sams: Or balancing life, maybe. Wally C.: Exactly, exactly that. All of that, so that’s what I decided to do was that’s why I called it the business side, abundance and prosperity mastery, because a lot of these guys don’t want to get coached in living a life of abundance and the mindset stuff, but I’ve developed a way that I’m able to give them the strategies and show them the strategies they need to greatly increase the revenue and profits within their business. Oh, by the way, as I’m having conversations with them, I’m changing and I’m enhancing their mindset through the words, because I’m correcting the words that they’re using, and I’m giving them a few soft skills that they don’t realize I’m actually putting them on. They think it’s more strategies, and you and I know all the entrepreneurs we get a chance to talk to, anything that you gonna succeed in life, business, it doesn’t matter what it is. It’s 80% mindset and 20% strategy. Wally C.: I just give that to them, and I’m seeing that they’re having results in that, so now, I’ve been working with a couple guys kinda just trying them out, guys that I know that are gonna do what I ask them to, we’re gonna work together. They’re getting benefits. They’re getting, their life is improving. They’re spending more time with family, more quality time, because what happens with a lot of business owners is when they find that they’re not making much money, they want to put more time and money into the business, taking away from their family, faith, and their own health. Shane Sams: So what does abundance mean to you? Because that’s important because these definitions matter. Jocelyn and I struggled with this for years with Flipped Lifestyle, not just defining what the Flipped Lifestyle looked like to us, but really being able to tell people what we do, right? We always try to use the words “so that” in everything, at the end of every sentence in our sales copy because it’s not enough to say, “We’ll help you start an online business.” We’ll help you start an online business so that you won’t have to work for anyone else and you can be your own boss, so that you can control your time and take your kids to school in the morning. So that you can not miss the dance recital and the thing, right? Shane Sams: When you throw out big words like abundance, that can mean a lot of things, right? And you’re clearly, from what you’ve just told me, you’re not just saying, “I know everything about business,” right? It’s more like, you’re kind of just using business as the vehicle to insert these mindset shifts. So what is abundance to you and what you’re trying to tell these guys? Wally C.: That’s a great question. That’s actually one of the last question I ask every single one of my guests, is what does abundance mean to them and for me, it means one, having enough resources in my life to live the way that I want to live and where I want to live, but also having enough to be able to pay it forward and contribute to others, whether it’s time, treasures or talents. It’s not always about money. It’s about resources, and resources is not just money. Don’t get me wrong. I’m all about making money because it’s a tool, and it’s a very powerful tool, but too many people just want to, I just had a conversation recently. A guy who said, “I want to be a billionaire.” Well, why? Wally C.: When you break it down, it’s all because they want what you and I have. Time freedom, live where you want to live, and do the things with your family that you want to do. It doesn’t take a billion dollars to do that. Shane Sams: Well, I get caught up in that trap all the time. I’ve got to constantly, we have calibration in our house. That’s something that a lot of people don’t have, but when one of us is getting too far one way, we can pull each other back. I do get into that comparison is the thief of joy kind of situation sometimes because we see something else and we think that’s the road to get to what we want, but it’s not really the road to what we want when we really look at it. Shane Sams: Jocelyn and I wrote down goals, if you listened to our podcast a couple of weeks ago, the good, the bad, and the future is what we called last year. We really said no to a lot of things this year. We’ve taken some things off of our calendar, we’ve not pursued some opportunities we had after a conversation very similar to that. We don’t need that much money. We don’t need that person. We don’t need that opportunity. We’re happy with our kitchen table business. I dig it. I posted a picture right before we started. I’m sitting in a chair with my feet propped up on a stool. Jocelyn’s in her robe and a blanket. Are you wearing your robe or is that a sweater? Jocelyn Sams: No, I’m wearing pajama pants. Shane Sams: She’s wearing pajamas. Jocelyn Sams: And a sweatshirt. Shane Sams: And we’re looking out a window at this crisp, cool lake. That’s our kitchen table business. We don’t need a studio. We don’t need a producer. We don’t need, I emailed you back and forth and told you we’re gonna be a minute late today, right? I don’t need an assistant doing that for me. That’s not the life we want. Jocelyn Sams: If people want that, that’s cool. I don’t judge them for it, but it’s all about figuring out what you want and how you want to run your business and run your life, and as long as what you’re doing is in alignment with that, then theoretically, I would call that abundance for that individual. Shane Sams: Here’s where people mess this up. You can attest to this, Wally. People mess this up because they figure out what they want, but then they’ll take anybody into their business as a customer, and they don’t just go find their 500-1000 people that want the same thing, right? If you define abundance that way and a guy comes in and he really does want to be the guy on the high rise and he wants to work 70 hours a week and he gets meaning from the Harley Davidson in his office or the Ferrari in his garage. That’s cool. That’s his choice, but that’s not the abundance or the coaching that you’re providing, right? So you gotta be really careful who you’re letting into your world too, you know what I mean? Wally C.: Yeah, absolutely. I’m very selective about things that I say yes to, and I get asked to do quite a few things here recently. For instance this morning. I ride my bike to my son’s school and I ride over to the little beach area that we have over here, and then I do my little priming stuff and prayers. I do my workout. I come home. If I feel like taking a nap, I take a 15, 20 minute nap as my wife get up. Shane Sams: That’s a pretty good day, man. Shane Sams: And again, it costs nothing to ride your bike. Shane Sams: You know what I’m saying? Have you ever heard the story of the business man and the fisherman? You ever heard that story? Wally C.: Oh yeah, absolutely. I love that story. I love that story. Shane Sams: And the guy was so blind by the ambition that he didn’t see the dude already had that life. Why would he work 30 years to get that life when he already had it, right? And we do all do that, man. Everybody does that. We always want the next big thing and we don’t look around and realize, I’ve got the big thing right in front of me. I love that story. I don’t even know if I told it right. Wally C.: Exactly. He’s probably given to his faith, and other people see his lifestyle. Just by that definition, just by that example, he is giving a lot. Shane Sams: I find that, that’s an excuse that people use a lot. Shane Sams: That’s an excuse, because the people that say that usually don’t give anyway. You know what I mean? We had a good piece of advice given to us one time that said, “You can’t help everybody. It’s not physically possible and we’re only here for a blink of an eye when you look at the whole time of the universe, right? But you should help people. You wish you could help everybody, and if you just did that as many times as you could over your lifetime, think how much better the world would be, because if everybody did that two or three times in their life, then we would all be paying it forward.” That’s really what everybody’s trying to do their business. Shane Sams: We go back to the million dollar thing. I get caught up with money sometimes too. Everybody does, but the big goal that we have for everybody is get to 100 people paying you $50. That’s $60,000 a year. I promise you, in most places in the United States, $60-100,000 can give you a really peaceful, calm, good life with a lot of time control, without want, staying warm, dry, and fed, being there for your kids. You don’t need millions of dollars to make it, to make the life that you want possible. Shane Sams: Everybody gets caught up with that. We get caught up with it, and you just can’t do that if you’re gonna make it online. Jocelyn Sams: Well, let’s talk a little bit about, okay, so right now, you have your podcast. You are bringing people onto coach them, and I know that you said that your schedule is pretty full, right? Wally C.: Well, actually, the schedule’s primarily just for the podcast. I do interviews on Tuesdays and Thursdays and quite frankly, my podcast has been down. 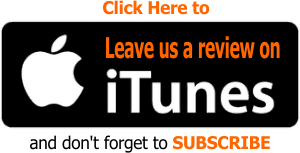 There’s an itunes issue for the last three weeks, but just on my podcast only. There’s several hundred thousand podcasts that are out there, but we got it figured out. But right now is where I’m actually taking on, I’m starting to take on one on one clients, and now I’m kind of considering the whole, I want the member’s site for a specific reason. Shane Sams: So what is your question today then? Okay, you’re doing the right thing getting a few one on one clients to really have those relationships and learn, but you’re wanting to scale your influence with a membership site? Is that what I’m hearing? Wally C.: Right. Right. Well, what I’m finding is with men specifically is one on one coaching’s great, but when we get a group of men together in a tribe, so to speak, is one of the common terms these days. But when we get common minds together and we start collaborating, then people will just feed off of each other, and we want to be the best, especially a bunch of usually alpha guys are trying to help each other out and hold each other accountable. So that’s kind of where I’m at and what I’m wanting to do because there’s groups out there that are doing things like this that are trying to prove, or the leader will go on rants about why this and that about masculinity and how it’s under attack, all stuff. Wally C.: That’s not what I’m subscribing to. What I’m subscribing to is just taking those men who feel they’re doing all the right things in life and in business. They’re just not pushing through the, they’re just not getting ahead. They just feel that they’re not … They feel they’re doing the right thing in life, they’re just not taking it to the next level. Shane Sams: They’re alone. They feel alone, right? Wally C.: That too. They feel alone. So many guys feel they have to do this stuff alone, and I want to create a community, an abundance and prosperity mastery tribe, if you will, in a group and have all of us feed off of each other and share these amazing strategies that I have access to that will just propel most any brick and mortar style business. Shane Sams: Yeah, I love the commercials of the guy that throws the rich guys onto the beach, like navy SEALS, and he just beats them up for like three days. He’s like, “Yeah, now we’re men and we’re accountable.” I’ve seen a lot of that stuff. Wally C.: I know exactly who you’re talking about. Shane Sams: I’m not gonna say names. Wally C.: I’m not either. Shane Sams: But I’m just saying, I’m not scared to say things certainly. Wally C.: And on top of that, never been military. Wally C.: I know what you’re saying. Wally C.: I got paid to do that, so I’m just saying. Wally C.: Not to be the instructor to be the different kind of abuse. Shane Sams: Yeah, whatever. You don’t have to do that to get abundant, guys, if you’re listening to this. Anyway, so what you’re saying, it’s almost what you’re making it sound like is you want to create a very similar dynamic to a small group, or like guys that meet at the coffee shop. They talk about their life and they realize they’re not alone and they share strategies for life. Your business sounds like it’s going to be a facilitator to this accountability group, right? You’re the conduit. People go through you but they get everybody else, right? Wally C.: Correct, correct. On top of that, they get access to all of the business strategies that I have. One of the questions that I have in reference to the platform is I have a platform that’s an eLearning platform that has literally, just millions and millions of dollars are done for you, templates and strategies and videos and workbooks, and it’s all, you go in and you answer a few questions about your business, and then you get a road map on where to start with all of this information. Shane Sams: So right now, your thought is one on one, you can see that one on one won’t scale and you just need to scale it. Wally C.: Correct. Because I can only, honestly, I’m capped out. When I do cap out, I will, five one on one at $2,000 a month, and it doesn’t matter if it was $5,000 a month. I don’t want to do more than that because I enjoy my lifestyle. I like driving to Disney during the middle of the week and hang out with the family or something. Jocelyn Sams: There are some people who are always gonna be willing to pay that premium price to get one on one attention, and that’s totally fine. But then there are a lot of other people who want to DIY or maybe they want less interaction with you, but they want some interaction with you. That’s exactly the way we set up our community. Shane Sams: Yeah, so let me ask you this. So your struggle is how do I build, what do I make this thing look like, is that correct? Like how do I move from the one on one to the group stuff? Is that what your biggest struggle? Wally C.: Right. Yeah, that’s pretty much it. Shane Sams: Yeah. Sometimes it works backwards. You build the smaller tier first, and then you work up and find the people that are willing to pay the premium, and then you balance that against your time. But you’re kind of doing it a little backwards. You’ve got these one on one people and it’s working, but you’re like, okay, but my impact has capped at five people or whatever. So you gotta move it into the thing. I would suggest probably not going all the way to a digital community yet. There’s probably gonna have to be another shift in the middle there where you set some kind of lower tier at like 50 people where you are interacting with them, but it’s in a more one to many setting, right? Right now, do your one on one clients have any interaction with each other? Shane Sams: Okay. Probably what I would suggest that you do is ask those guys that you’re already coaching. “Hey guys, I’m gonna add something to what you’re already getting. I’m not changing it. I’m not taking anything away, but I’m gonna add a one hour monthly call with all my clients. You don’t have to participate, but I’m gonna go ahead and do this. I’m gonna go ahead and add this on.” Maybe two of them do it, three of them do it. Maybe two of them are like, “Nah, man. I’m really cool with this one on one stuff. I don’t want to talk to anybody but you, Wally.” That’s cool. That’s fine, right? Some people value the privacy over the impact, you know what I mean? Shane Sams: So that’s what I want you to do. First of all, say, “I’m gonna add this,” and maybe three of them show up, right? And it’s you and three other guys, literally like a Mastermind, okay? You just make it really casual, like introducing each other. “Hey, guys. We’re here. What’s the biggest win we had last week?” Maybe the next time you do it, it’s like, “What’s the biggest struggle you had last week?” We all just share it. Tell them, hey, look, you can say a business struggle or something simple. You don’t gotta say, you know, you were having an argument with your spouse. It doesn’t have to be personal. It’s just, what’s something you’re struggling with, right? Make it real easy and see, and you need to get a feel for that group interaction, okay. Shane Sams: Then what you do is you start turning these into a bimonthly thing. Every two weeks, they get together. Every two weeks, they get together. What happens next is, you add a tier that’s more like, “Hey guys on the podcast. Listen, I know one on one coach is not great for you guys, everybody, but I do have a little meetup that we do every week, right? This is x dollars a month. You get to come to the meetup,” and maybe you expand that to 20 people. “I only have 20 spots. Here’s a nice little group thing.” And you start doing these meetups, like you do them in cohorts, like ten of them meet on one week, ten of them meet on the other. That’ll give you about three to six months of feeling what it’s like to manage a group, and also create these, a better revenue stream where it is more, not passive, but it’s spread out more. You see what I’m saying? Shane Sams: Because if you go straight into the group dynamic of a huge membership community with all these digital resources, it’s so different than what you’re doing now, it’s gonna be hard. You’re gonna be managing two businesses. You need to move that way first, because then you can take all those people and say, “Hey guys. I’m gonna add another thing for you guys.” You’re adding to the people you’ve got now, not taking away or moving away from them, right? Then you can add it into more of a group dynamic, like a Facebook group or a forum or whatever, and then it’s just off to the races at that point, right? Shane Sams: So you could tell this next cohort, “Hey, we meet twice a month. I’m gonna do a little training, take two or three questions.” It’s kind of like our group calls, like our members call that we do, but you’re kind of moving opposite direction from us. You’re going from one on one to doing some group calls with maybe 10-20 people to then opening more of a bigger membership type thing, right? Shane Sams: It’s just, I’ve seen a lot of people fail going straight from one on one coaching to a membership community, and I don’t want you to do that without kind of learning how to manage it. Does that make sense? Wally C.: Makes perfect sense. That’s exactly why I wanted to have this conversation, because I know you guys have the experience in this area. Jocelyn Sams: Okay, so as you’re thinking about starting to go into that method or that mode of business, what other questions do you have about that? Wally C.: Well, at this point, really just kind of what type of platform would I use, because the unfortunate part about the eLearning platform that I have is there’s no chat capability in there, no way for members to communicate or even for me to communicate with the members. So I do have access to another members platform that I would be able to set up similar to what you have already within the Flipped Lifestyle, but is there a specific platform or anything specific that you would recommend that I use as I start transitioning into that? Or would I just use Zoom calls or something like that? Shane Sams: Yeah, keep it simple. If you’ll notice, on our group calls, we use YouTube Live. We just embed it in the forum, right? And the reason we do that is because we know it’s simple. When we do Flip Your Life Live, three months before the event, we have three, what we call icebreaker sessions where we bring attendees onto a Zoom call, and there’s literally 50 people on the call, right? We go through each person for like two minutes each, you know what I’m saying? Over like a couple hours, and we’re all just having a good time and we ask them icebreaker questions. Shane Sams: We just do it on Zoom. We don’t do it on some big fancy membership platform or anything we’ve got to invest in. It’s just, let’s just use a Zoom, Zoom’s the easiest. YouTube Live’s the easiest. Don’t make it overcomplicated because then you’ll just confuse your user. Everybody knows about YouTube Live, right? Everybody knows about YouTube, so if you’re like, “Hey guys. I’m doing a YouTube Live. There’s a chat box. Go to this link. I’ll see you there.” Or Zoom, same thing. Go to a link and I’ll see you there. Shane Sams: Or you know how to use. Jocelyn Sams: Yeah, exactly. Just keep it simple. I think people put too much stock in this. Oh, I don’t know which is better, Zoom or Facebook Live or whatever and they sit there in this basically vortex of indecision for six months, and they don’t get anything done. Shane Sams: That’s a great quote. Shane Sams: A vortex of indecision. Dun dun. Jocelyn Sams: It’s really true, because you want to make sure you’re doing the quote, “right thing.” Well, there is no right thing. Just make a decision and move on it. Shane Sams: We just spent about three weeks. I looked down at our business last year, and I said to Jocelyn in the car one day. It was like, “Man, look at all the third party apps and things that we’re paying monthly for that have wormed their tentacles into our business and are hanging on for dear life, right?” And it kind of reminded me of barnacles on a ship. You gotta get all the stuff that grows on the ship off of it. Shane Sams: It took me like two or three weeks, and I just went straight back to nothing but WordPress and Infusionsoft and now that I’m looking at it, I’m like, why did I allow that to happen? It was the same mentality of, oh, that’s a fun tool. That makes my life easier. They said so right on their sales page, right? Wally C.: And the next guru is using it. Shane Sams: Yeah, right, exactly. The main thing is just do the easiest thing that works and gets the job done. We’re talking on $60 Amazon microphones and they’re plugged into a $100 mixer, and somebody told me once that that if we didn’t get a Heil microphone that was $600, no one would ever be able to listen to our podcast. The audio would be garbage, and I’m like, bro. This Audio-Technica’s 60 bucks. I’m going with it. Shane Sams: It was hilarious, one time we did, I can’t remember who it was. Someone was like, I can’t remember if it was Mixergy. I don’t remember what it was. They said, “Man, your audio. You have the best audio that any I’ve heard in months on my podcast.” And this person interviews big people, right? And we were like Audio-Technica 2100s baby. Had them since 2014, going strong. Jocelyn Sams: We did have to replace one. Shane Sams: Yeah, one of them broke, but we got another one. Wally C.: When you and I had our conversation, Shane, I was overlooking the ocean sitting in the cabin of my Toyota Tacoma with a $50 microphone plugged into my Macbook. Shane Sams: Hey, there are great acoustics inside of a car, I’m telling you. If you’re having trouble, if you don’t have a microphone out there and you just want to record with your laptop, just go out in the garage. I did that all the time for our first courses, because the kids would be going crazy and it was a detached garage. I would go out in the garage, get in the car and shut the door to record, because I didn’t have a good microphone then. It sounded fine. Everything worked good. Jocelyn Sams: All right, let’s jump into our action step. We want to know based on what we talked about here today, what is something that you are planning to take action on? Wally C.: Well, I’m gonna start getting with the, doing exactly what Shane said. I ask questions because I want the answers and I’m gonna take action on the suggestions, so it’s exactly that. I’m just gonna get with these guys and find out who would like to participate in just a monthly call, see how that works out, and then start transitioning that just exactly the way Shane said to do it. Just follow the steps. Shane Sams: Do the first two with just your one on one guys even if only two of them want to do it, okay? Be like, “Hey, I’m adding something to what I’m giving you. It’s included in your cost. I’m gonna start doing a meetup of my coaching clients. You don’t have to come if you don’t want to.” My guess is they all will, right? Because they probably are craving something like that in their life with just a group of guys on a call. Then roll it out on your podcast with a nice, simple price tag. We can talk about that in the forums what the price will be, and see if maybe 10 other guys want to join this call. See if you can turn it into something. Then three months, six months down the road, we start saying, okay, how can I add 500 men to this and change their lives too? Wally C.: Yeah, I like that, and one other thing I’m gonna do is based off of the members call that you had the other day is I’ve sent in the request I guess to start doing YouTube Live, because I’ve done many YouTube videos. I just post them or they automatically post from my Facebook Live onto YouTube, but I’m just finding my clients or anybody that wants to work with me in this arena are not on Facebook. My wife quite frankly pointed that out. She said, “What are you doing? You’re gonna get no response off of that.” But I know they’re on YouTube. I know guys are going on YouTube looking for business strategies and stuff. Shane Sams: I think 72% of people that use YouTube are men or something like that. It’s some kind of weird, it’s really skewed, the audience on YouTube toward men. Shane Sams: To search out your information. Jocelyn Sams: All right, well it has been awesome having you here today. I see here on this list of questions that we had sent to you that you do have a bible verse that you would like to share, so we would love for you to read that for us. Shane Sams: Love that bible verse man. Well, listen Wally, thank you so much for sharing with everything today. People don’t realize when they come on our podcast, they get help, but they help so many other people just by being open and transparent and vulnerable and asking questions. We learn stuff from every single one of our guests just like hopefully they learn from us. So man, appreciate you coming on the show, and tell everybody real quick again where they find you online and your podcast. Wally C.: Right, absolutely. The podcast is at menofabundance.com, and the business side, the eLearning platform and everything else related to that is at apmasterycoach.com. Shane Sams: All right guys, that wraps up another awesome interview with one of our Flip Your Life community members. Maybe you’re a coach, maybe you’re creating digital products, maybe you’re selling physical products online, maybe you’re doing a service based business. Maybe you just need a little help getting started. We would love to help you get started inside of the Flip Your Life community. Come join us, come join Wally inside the Flip Your Life community. We have a brand new level of membership that we would love for you to take advantage of. It’s only $19 a month. You get complete access to all of our community forums, and you get access to every single training course inside of the Flip Your Life blueprint. Shane Sams: All you have to do is go to flippedlifestyle.com/flipyourlife, and you can join the Flip Your Life community now for as little as $19 a month. Flippedlifestyle.com/flipyourlife. We cannot wait to see you inside. Shane Sams: All right guys, that is all the time we have for this week. Until next time, get out there, take action, do whatever it takes to flip your life.